US Secretary of State Mike Pompeo said he was "hopeful" Wednesday of resetting the troubled relationship with Pakistan, a key player in the Afghan conflict, after he met new premier Imran Khan and other senior officials in Islamabad. The shift in tone comes days after Washington confirmed plans to cancel $300 million in military aid. Khan also voiced his optimism at a fresh start in the rocky ties between the wayward allies. Pompeo's counterpart Shah Mehmood Qureshi told reporters the meetings had been "positive", adding this was largely because the US and Pakistan now agreed that in Afghanistan "there is no military solution, we will have to go towards a political solution". He also said that Pompeo's comments hinted the US may be considering direct talks with the Taliban. The Taliban have long insisted on direct talks with the US, which Washington has repeatedly refused, insisting negotiations must be Afghan-led. 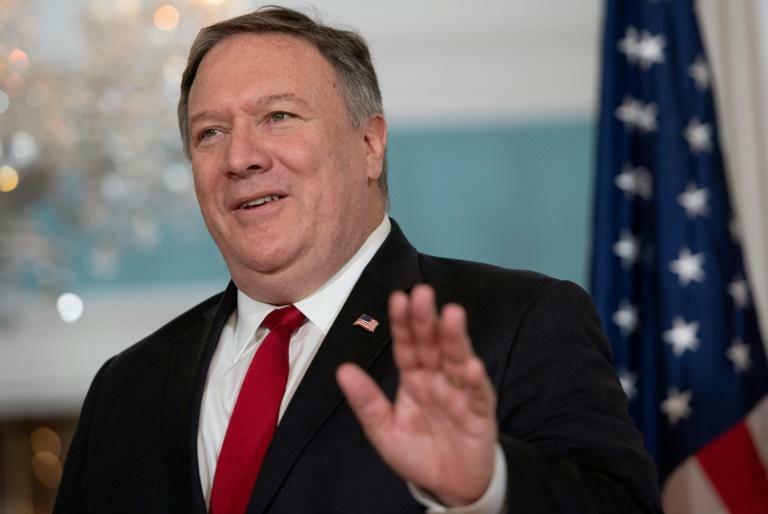 But in June Pompeo indicated a change in the longstanding policy, with US officials meeting Taliban representatives in Doha in July. As Qureshi spoke, twin blasts tore through Kabul, killing at least 20 people and wounding 70 more in the latest attack to rock the Afghan capital. No group immediately claimed responsibility. Pompeo said ahead of the trip that it was time to "turn the page" and suggested that the election of Khan, who has vowed to seek better relations with the US, could provide a fresh impetus. Khan was also positive, according to pool reports. Pompeo, who was later joined by General Joe Dunford, chairman of the Joint Chiefs of Staff, also met with Pakistan's powerful army chief General Qamar Javed Bajwa. In earlier comments Pompeo also held out the possibility that military aid could be restored under the right circumstances. The latest remarks represent a change in tone toward the nuclear-armed Muslim country and its new prime minister, who came to office in July amid concerns of his tolerance of terror groups.